The genocide perpetrated against European Jews during World War II carries several names. In the west we generally know it as the Holocaust, a word taken from an ancient Greek term meaning ‘everything burned’. 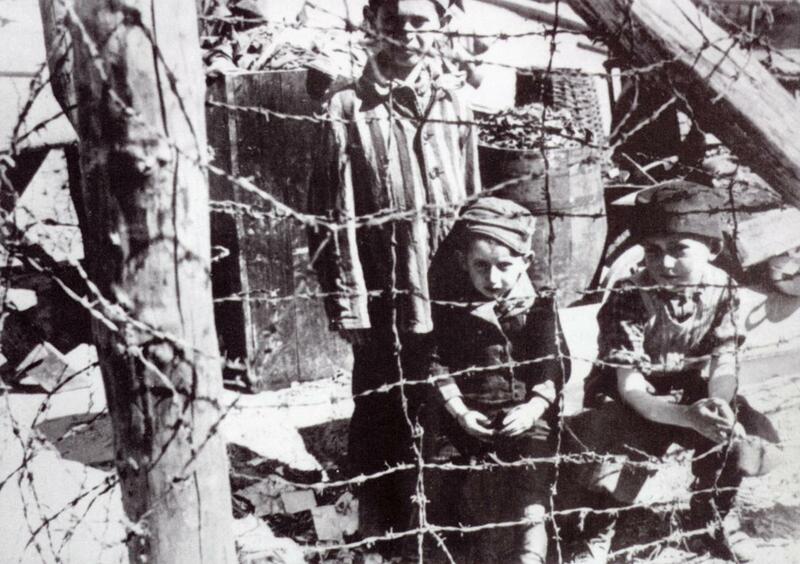 Many Jews know it as Shoah, a Hebrew word meaning ‘catastrophe’. The Nazis who carried out this mass murder used its benign operational title: the ‘Final Solution to the Jewish Question in Europe’. But none of these names and labels conveys the enormity of this disastrous event, the complexity of its causes or the oceans of human suffering and despair it created. Under the cloak of war, the Nazis manufactured an ideology then an apparatus to achieve the extermination of an entire race. The Holocaust was not history’s first genocide but it was the first on such a systematic and industrial scale. When the Nazis were themselves driven from history in early 1945, their campaign against racial minorities had claimed more than ten million lives. Six million of the dead were Jews, almost two-thirds of the entire Jewish population of Europe. Mass murder on this scale does not happen for incidental or transient reasons, even in the fires of war. Anti-Semitism – the irrational hatred or fear of the Jews – was neither an invention of the Nazis nor a particularly German phenomenon. It is a deceitful but venomous idea that has infected human civilisations since ancient times, when Jews were expelled from their homeland in the Levant. They were forced to scatter and find homes elsewhere, an event now known as the ‘Jewish diaspora’. During the Middle Ages thousands of Jews found homes in Christian Europe or the Muslim Ottoman Empire, where their language, religion and culture set them apart from the mainstream. But in the medieval world, driven by superstition and fear of the unknown, these differences proved a curse. Jews were treated as outsiders, as interlopers, as a dark and sinister fringe community. Most medieval Christian leaders were intensely anti-Semitic, alleging that Jews were heretics who were responsible for the murder of Christ. Jewish communities were cast as ready-made scapegoats for every accident, epidemic or failure that befell Christian Europeans. Jewish witchcraft and malevolence was blamed for almost everything – from missing children to harvest failures to catastrophic plagues. Even when they weren’t being butchered or beaten or driven out of villages or regions, Jews were often extorted of their wealth by local political rulers. The age of Enlightenment and modernism should have rendered anti-Semitism a forgotten prejudice from a distant time. Instead, Jew-hating persisted into the 19th century. In places like Russia, France and the German states, it never disappeared. Jews continued to serve as scapegoats for any and every mishap. Nationalists blamed them for attempting to thwart German unification; Jewish bankers and capitalists were accused of engineering financial recessions. The emergence of Zionism – a movement seeking the restoration of a Jewish homeland – fuelled wild claims that Jews were plotting to take over Europe and possibly the world. These ideas were crystallised in a fraudulent 1902 book, The Protocols of the Learned Elders of Zion, which became the handbook of irrational anti-Semitism. Prejudice against Jews was also exported and found a home in new places, such as the United States. Anti-Semitism continued to simmer beneath the surface of European society. The rise of Adolf Hitler and the Nazi Party in the 1930s allowed it to come out of the shadows. Hitler was an embittered anti-Semite whose Jew-hating was acquired on the streets of Vienna during his youth. The rank and file of his party thrummed with anti-Semitism: they blamed Jews for Germany’s capitulation and surrender during World War I. Though they existed as political nobodies for much of the 1920s, the Nazis were propelled into the political spotlight by the Great Depression of the early 1930s. With Germany gripped by unemployment, economic misery and despair, Hitler transitioned from a political kook to a potential national leader. The process was completed in January 1933 when Hitler was appointed chancellor; within months he had dismantled German democracy and installed himself as a totalitarian dictator. The Final Solution would not have been possible without the pervasive presence and uninterrupted tradition of anti-Semitism in Germany. The exposure of the German people for generations to anti-Semitism in its manifold forms – political, nationalist, racial, cultural, doctrinal, economic – eventually rendered them insensitive to Hitler’s radical and deadly brand of anti-Semitism. It abounded in credos, platforms and declarations with the central thesis that Jews were alien to the German nation, its people, cultural and land, and that the rights which Jews had or sought should consequently be denied to them. It took just weeks for Hitler’s ranting anti-Semitism to manifest itself as government policy. Germany’s Jews – many of whom were born there and knew no other home – were subject to a host of prejudicial laws, decrees and campaigns. 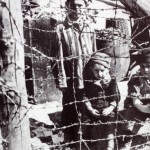 At regular increments, the Nazi regime denied Jews the fundamental rights of free citizens. Jews lost the right to work, to vote, to be educated, to own business and property, to worship, to move freely, to assemble. The notorious Nuremberg Laws withdrew German citizenship from all those deemed to be a full-blooded Jew. As this was unfolding, Jews were subject to vulgar and dehumanising attacks from Nazi propagandists like Joseph Goebbels and Julius Streicher. They were deemed to be untermensch, or sub-human, likened to vermin or parasites. Thousands of Jews fled or were expelled from Nazi Germany during the 1930s. The majority remained, some because they had no means to emigrate, others who vainly hoped that every anti-Semitic law or action would be the last. But the mistreatment of Jews in the 1930s was but a ripple compared to the torrent that was to come. In 1939, Hitler triggered a world war by ordering the invasion of Poland; by 1940 German forces had conquered most of western Europe. Under the dark cloak of military occupation, the Nazis unfurled their megalomaniacal grand plan to exterminate all the Jews of Europe. For four years, millions of people were imprisoned in ghettos, forced to labour, starved, brutalised, tortured, murdered by roving death squads or in purpose-built extermination camps. Only when the Nazis were driven from Europe in 1945 did the full horror of their Final Solution become known to the world. This Alpha History section explores the Holocaust, giving close attention to the hateful anti-Semitism that inspired it, the individuals and groups who perpetrated it, the political and economic conditions in which it unfolded, and some of those who stood against it. Like other accounts of this devastating event, it is presented not only as history but also as a salient warning of the dangers of racial prejudice and extremism. Please note: The pages in this section contain contextual advertising provided by third party providers. Alpha History apologises if readers of the site experience advertisements whose content or juxtaposition seems frivolous, insensitive or inappropriate.